“The Warsaw Conference is an attempt at bypassing the Arab Peace Initiative and destroying the Palestinian National project,” said Erekat, referring to a Saudi proposal to extend Arab recognition of Israel in exchange for a pullout to the pre-1967 armistice lines and a “just solution” for Palestinian refugees. The PA has boycotted the American administration since President Donald Trump’s 2017 recognition of Jerusalem as Israel’s capital, a move it said meant the US could no longer serve as a mediator in peace talks. Ties between the sides have continued to fray since then, with the US moving to end aid it provides to Palestinians and cut funding to PA President Mahmoud Abbas over his refusal to enter negotiations and Ramallah’s payments to terror convicts and their families. According to a US official, Trump’s senior adviser and son-in-law Jared Kushner will discuss the White House’s peace efforts during the conference and take questions from the audience. “We would very much welcome the Palestinian Authority’s perspectives during the discussion, but I do want to emphasize this is not a negotiation but a discussion, and we look forward to fostering a constructive conversation in Warsaw,” the official was quoted saying by Reuters. Kushner will be accompanied in Warsaw by Jason Greenblatt, Trump’s envoy for Israeli-Palestinian peace. Along with US envoy on Iran Brian Hook and other administration officials, the two are headed to the Middle East later this month to brief diplomats in at least five countries on the economic section of the US peace proposal. Stops are confirmed in Oman, Bahrain, Saudi Arabia, United Arab Emirates and Qatar. Other stops could be added to the trip, according to a White House official. The US peace plan reportedly includes an economic development proposal for Palestinians that foresees major infrastructure and industrial work, particularly in Gaza. 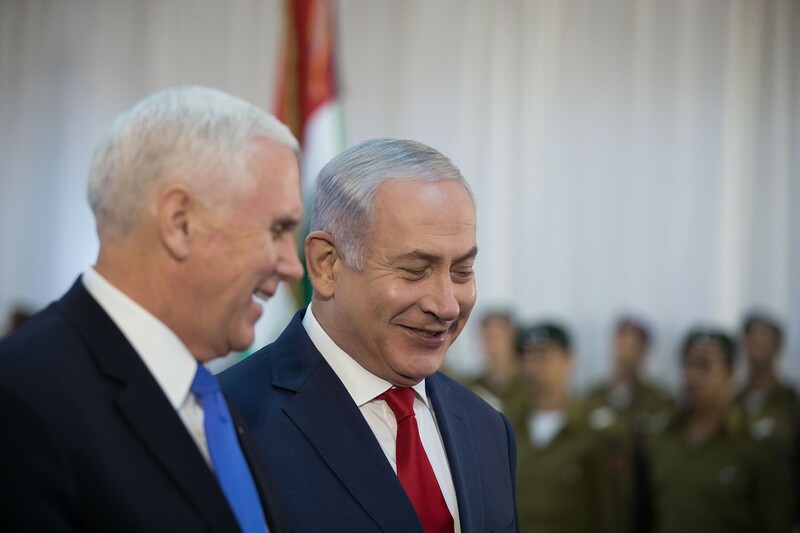 For the plan to succeed or even pass the starting gate, it will need at least initial buy-in from both Israel and the Palestinians as well as from the Gulf Arab states, which officials say will be asked to substantially bankroll the economic portion. 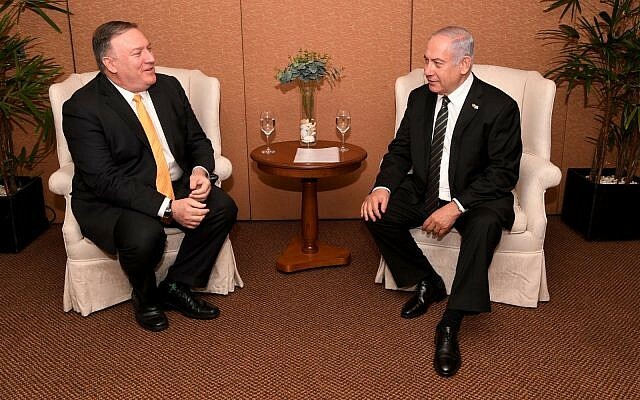 A senior US official told The Times of Israel this week that a date for the peace plan’s rollout has not yet been decided and there are “numerous considerations” that may play a role and push its release back to mid-May at the earliest. These include the Israeli elections (April 9) and subsequent coalition building process, the Passover holiday (April 19-26), Ramadan (May 5-June 4), and Israeli Memorial and Independence Days (May 7-9). Agencies and Times of Israel staff contributed to this report. This entry was posted on February 10, 2019 at 4:29 PM and is filed under Uncategorized. You can subscribe via RSS 2.0 feed to this post's comments. You can skip to the end and leave a response. Pinging is currently not allowed. Njoy your trip to warsaw, Bibi ! Forget the murder of Ori Ansbach and all the other jews murdered recently by muslim killers…If your fearful gov. catches those muslim killers, they spend some time in a cozy israeli prison before beeing released soon by your weak gov. ! The only ones your gov. treats hard are those brave Jews living in Judea+Samaria ! Sadly you are famous for big words and small action – sad for you, dangerous for Israel!